TERVETULOA! Juhannus - A Midsummer Eve’s Dream, the theme of the 3013 FinnFest USA 2013, held in Michigan’s Copper Country in the Upper Peninsula. Upwards of 10,000 to 12,000 people attended the various events and activities being held in the area. 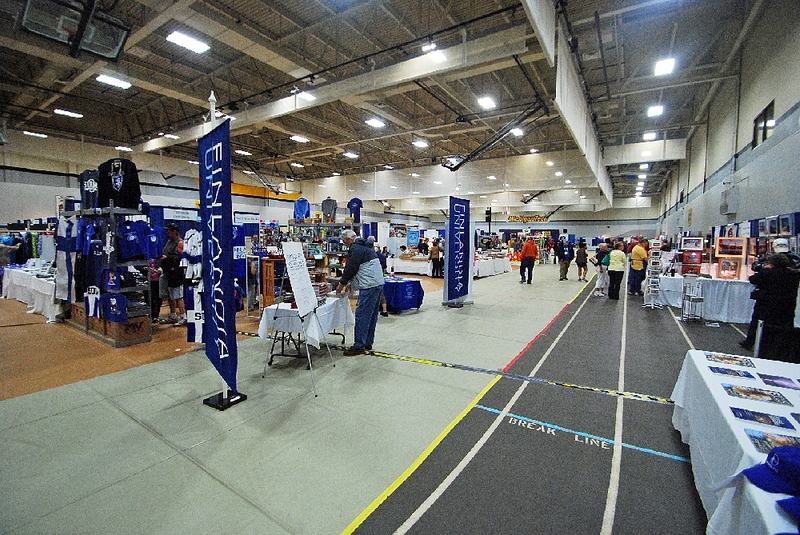 Finlandia University in Hancock, and Michigan Technological University in Houghton, provided many of the meeting and event venues as well as some hosting of the participants. 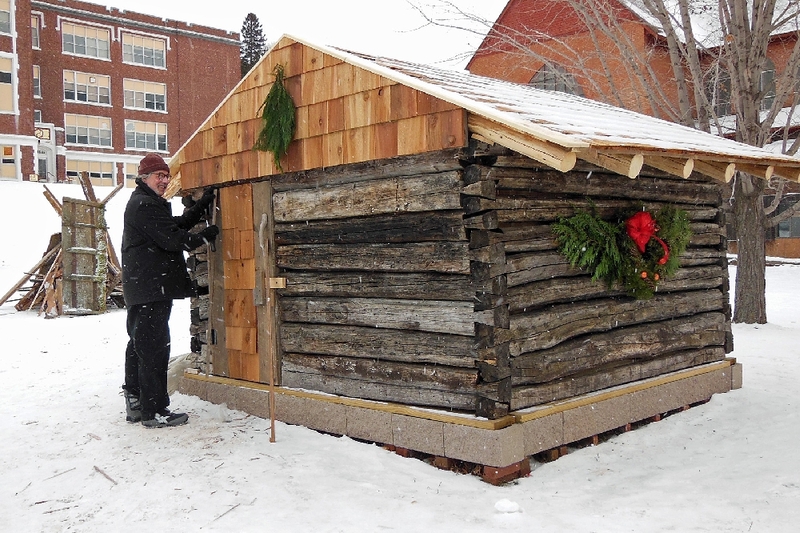 Planning started in late 2011, with the first of many saunas being constructed on the QuincyGreen in early 2013. 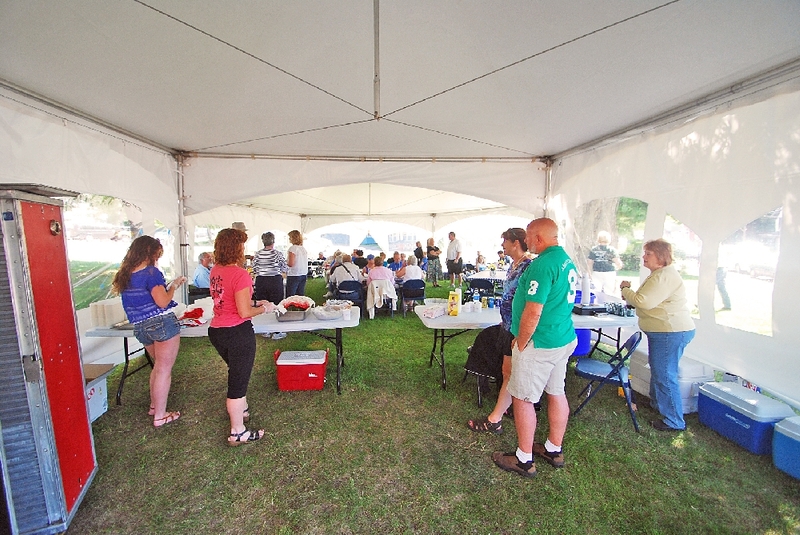 FinnFest USA is held each year somewhere in the USA, at various locations. 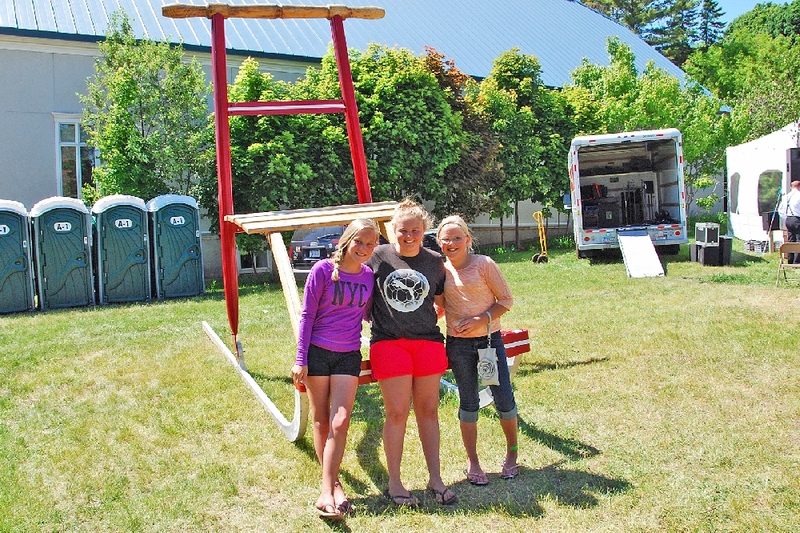 Part of this years events was the fund-raising, constructing, and placing of a monument commemorating Big Louie Moilanen, who, at 8 ft., 3 inches tall, was at the time one of the tallest men in the world. He was born and raised in Boston Location, just north of Hancock. 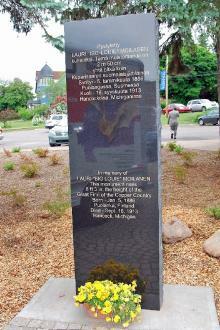 The unveiling was held on the opening day of FinnFest 2013, in Hancock, at the Finlandia Finnish American Center (FFAC). (A separate pictorial story will give more info on this story).The Finland Consul to the USA, Jukka Pientikainen, from NYC, as also in attendance. 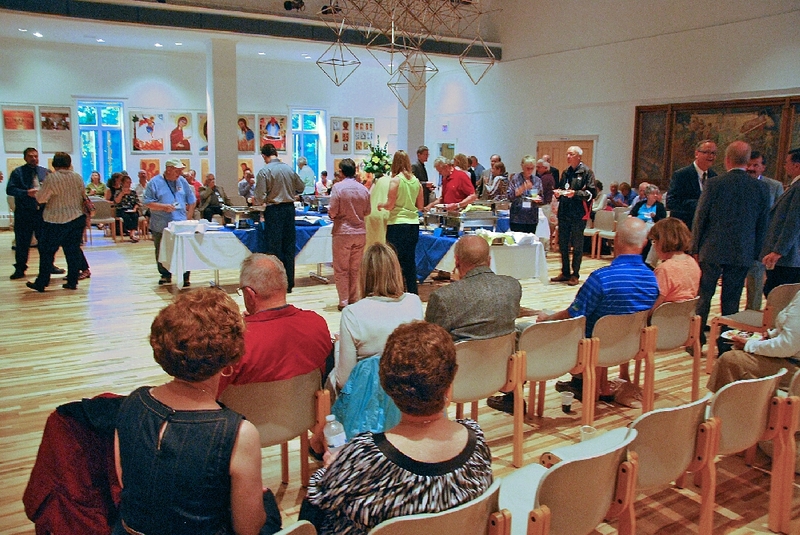 The second evening brought a City of Hancock Reception, at the FFAC. City Mayor William Laitala (left,w/mike), gives a few remarks and a welcome to the attendees. 2nd from left if the City of Houghton Manager, Scott McInnes; center, is Finlandia President, the Reverand Dr. Phillip Johnson;, next is Tarha Silverman, from the Finland Consular Office, in NYC. 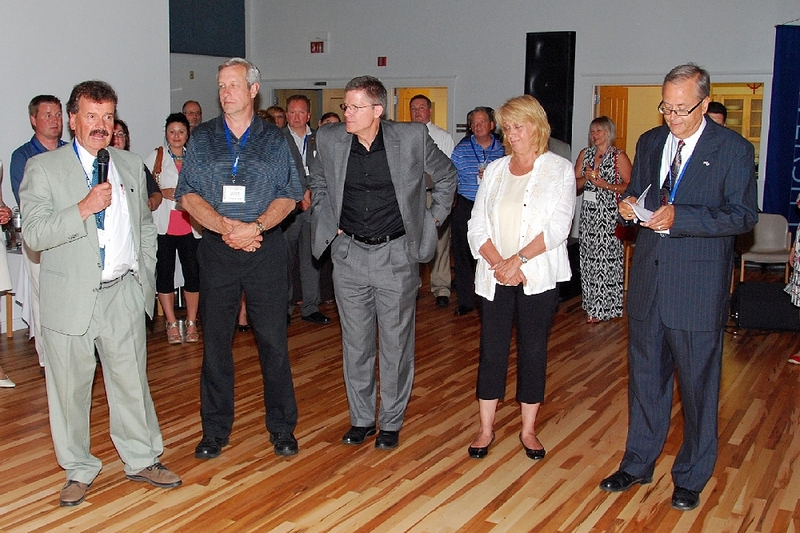 ; and on the right is Hancock’s City Manager Glenn Anderson. Some of the crowd enjoying the evening and the entertainment. 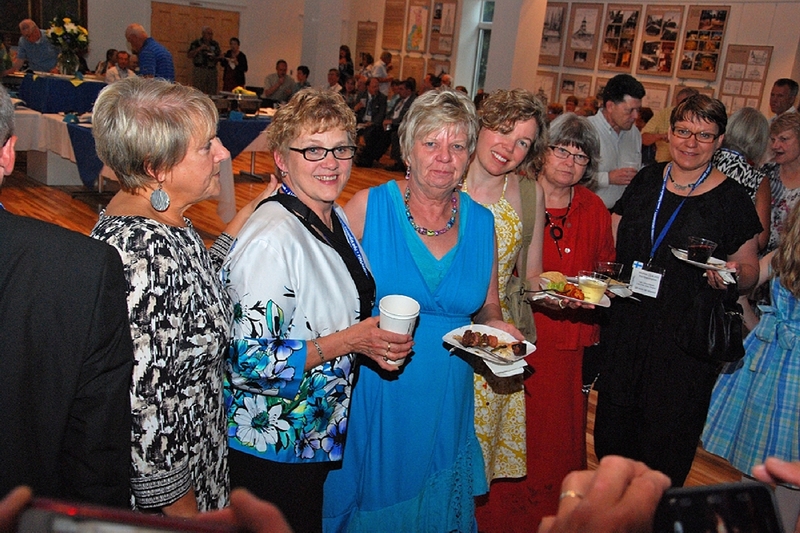 Also in attendance were the Finlandia Alumni Chorus members. 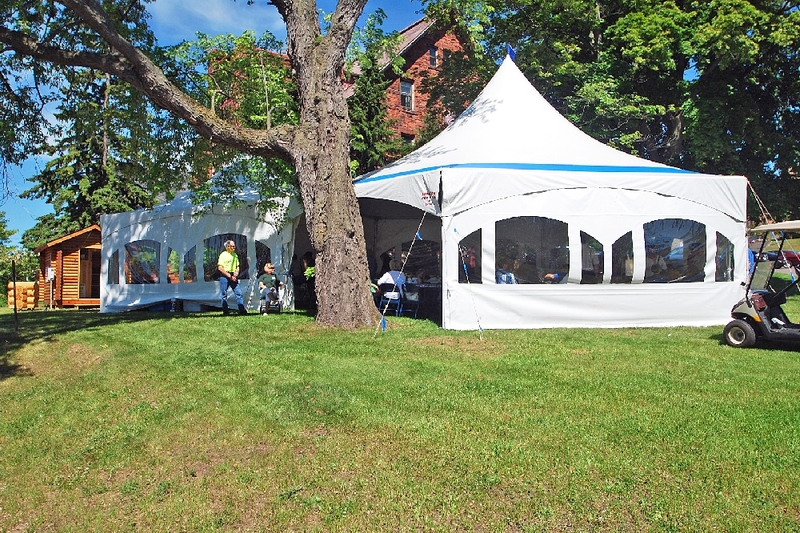 Finlandia hosted a pasty lunch, on the lawn of Old Main. 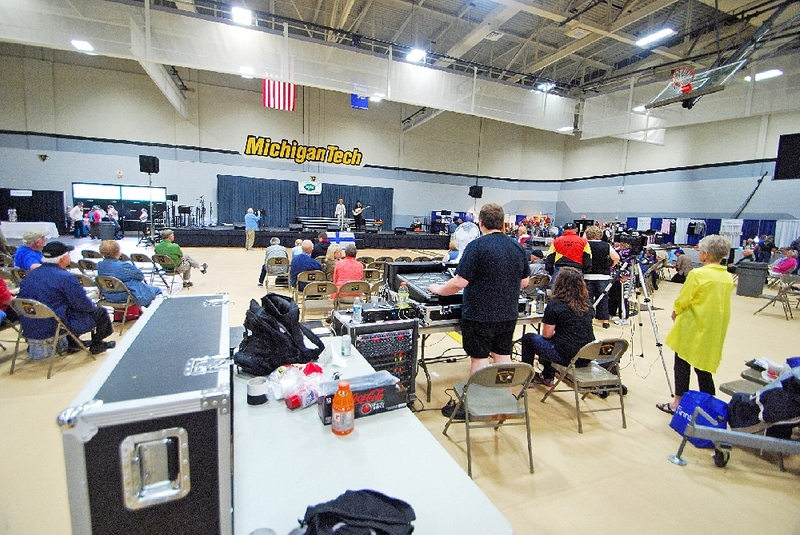 An inside view of the luncheon activities. 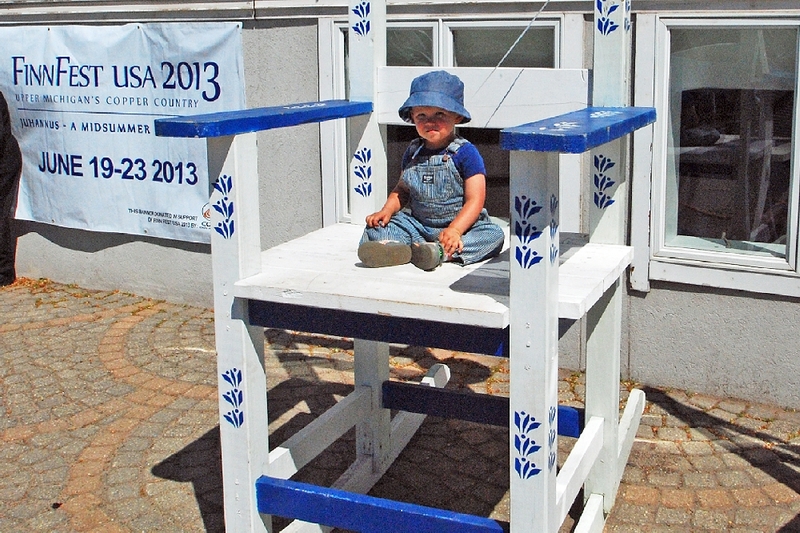 Eli Slade, age 2, of Vulcon, MI, tried out Big Louie’s Chair for size. 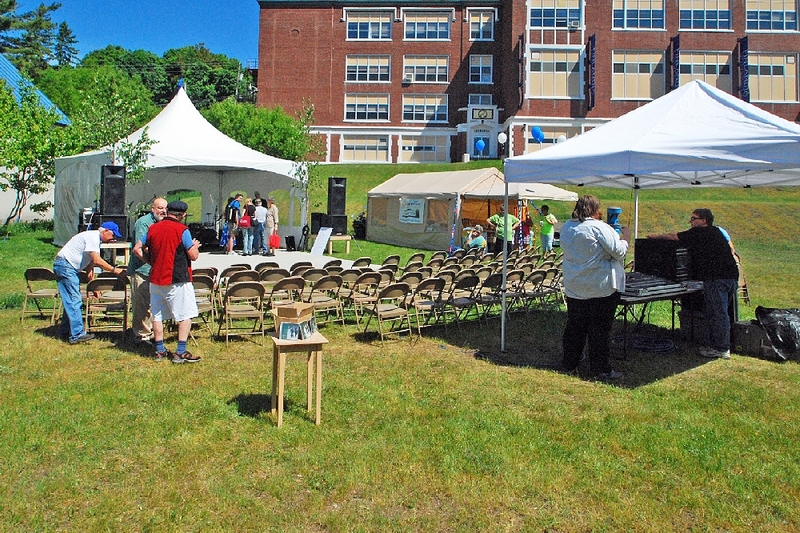 The outdoor facilities on the Quincy Green, one of the entertainment sites. These three young visitors couldn’t comprehend Big Louie’s sleigh. 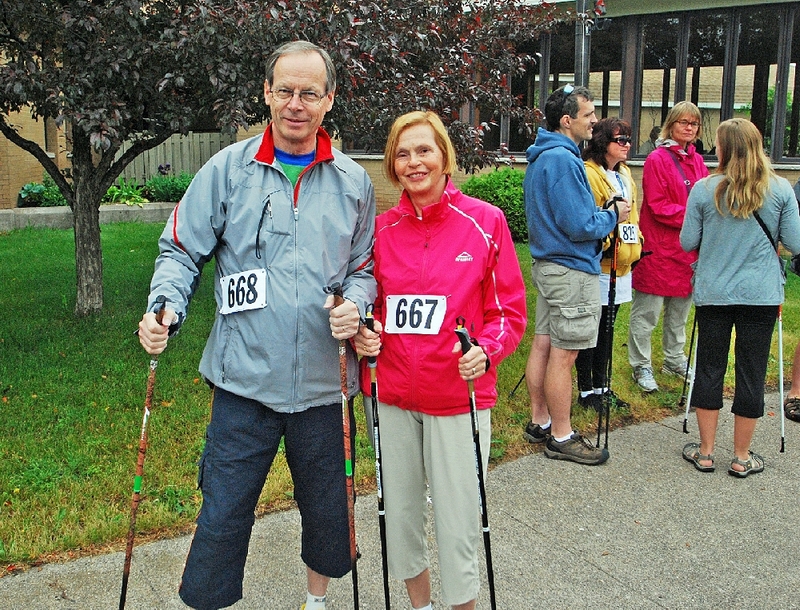 One of the big events was the record breaking attempt at Nordic Walking. 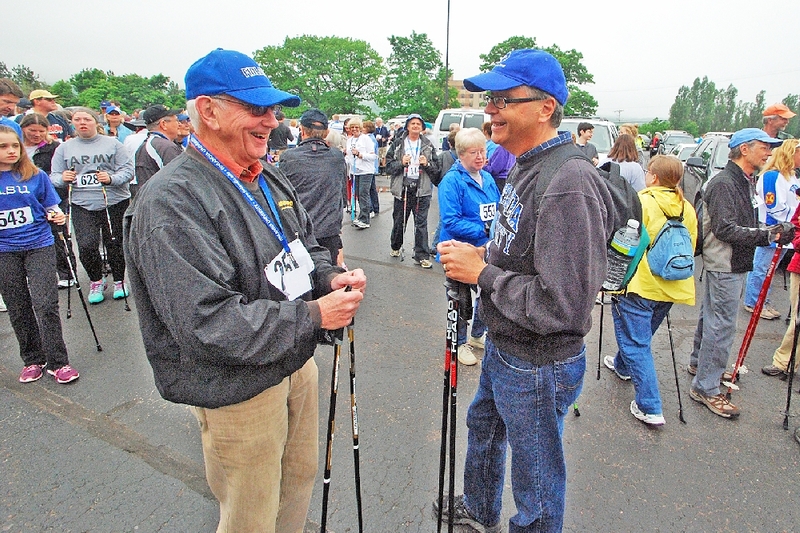 Waiting for the start, Hancock City Manager Glenn Anderson chats with Ken Seaton. 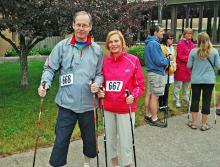 Also in attendance was Finland’s Secretary of State Pertti Torstila, and his wife Teva. 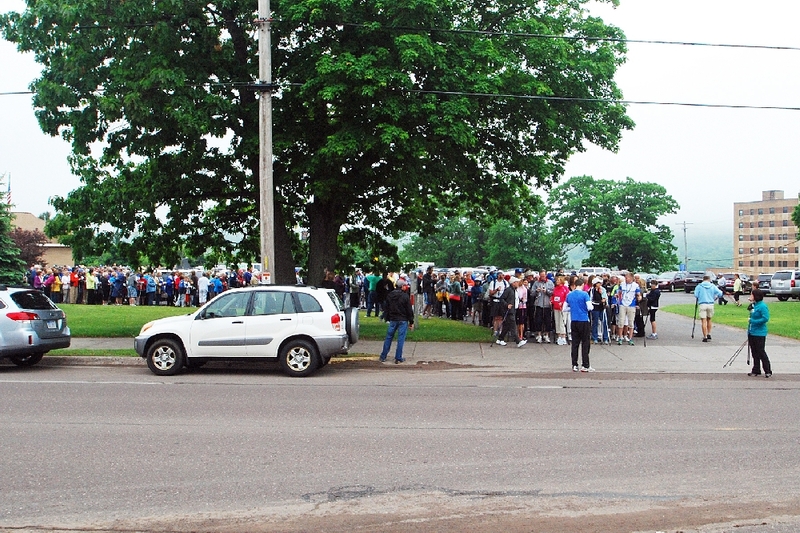 The record breaking crowd (hopefully) lines up for the official count and start. 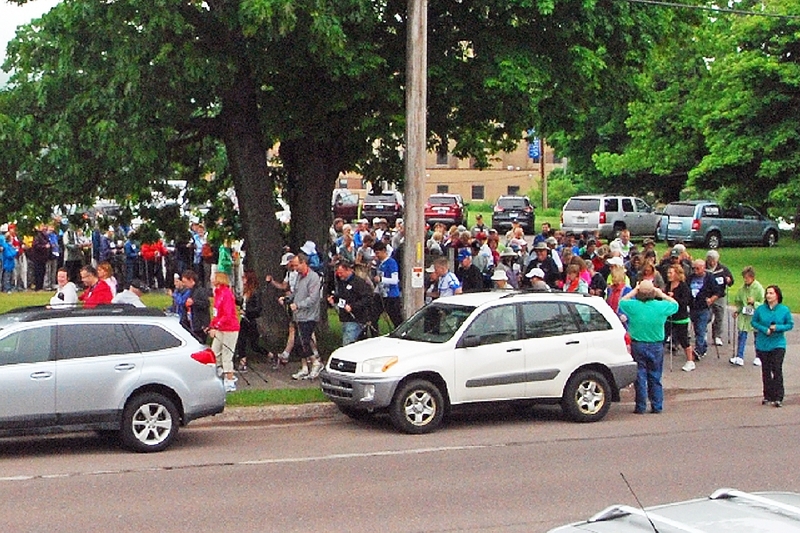 The walk began at he Church of the Resurection in Hancock, and went to Kestner Park in Houghton. And the start! Later tally results of the registration lists did not permit a new Gluiness Book of Records entry, however, being a few hundred shy. 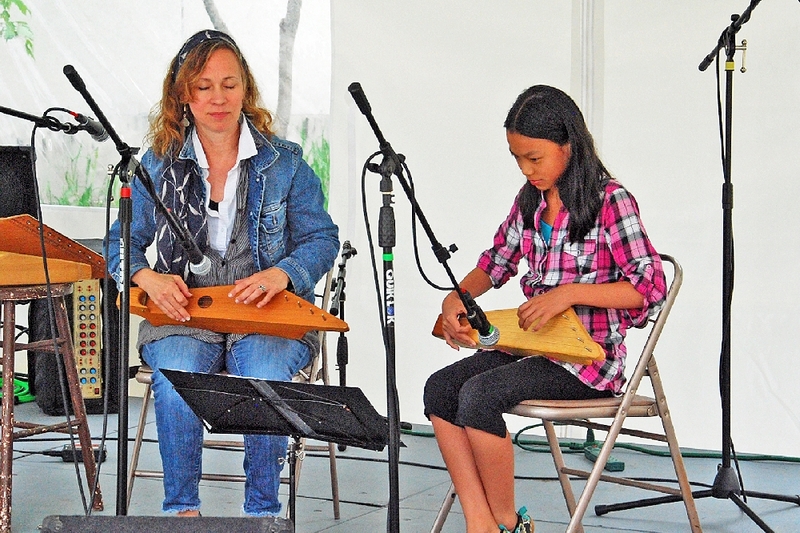 Here, Diane Jarvi and her daughter, of Minneapolis, MN, entertain the audience with a duet on the Kanteles, a Finnish stringed instrument. 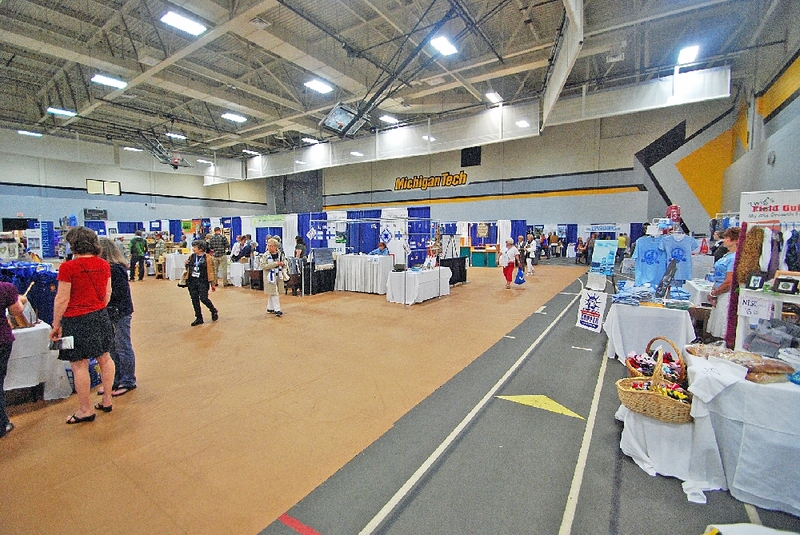 Another of the main venues of FinnFest was the Tori at the Michigan Tech University (MTU) Student Development Center (SDC). 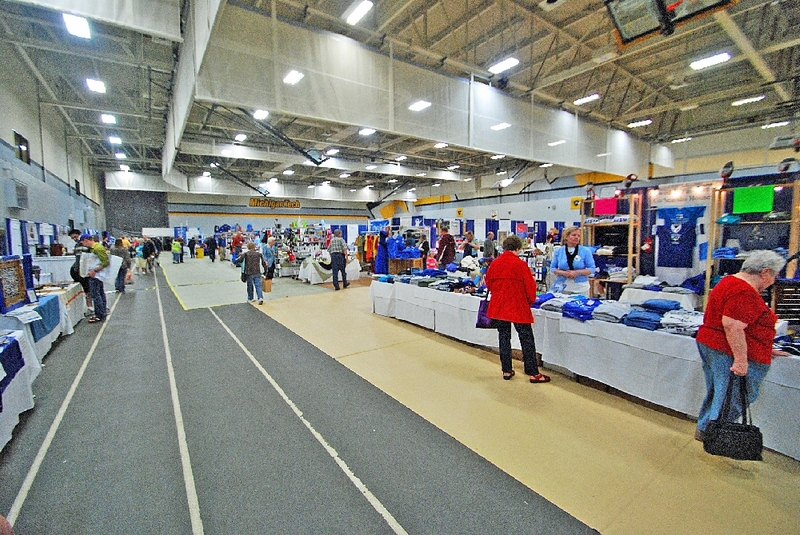 A large numbr of vendors were on hand. This is a view on the south side. A view looking across to the north side. Looking west on the north side. And looking east on the north side. 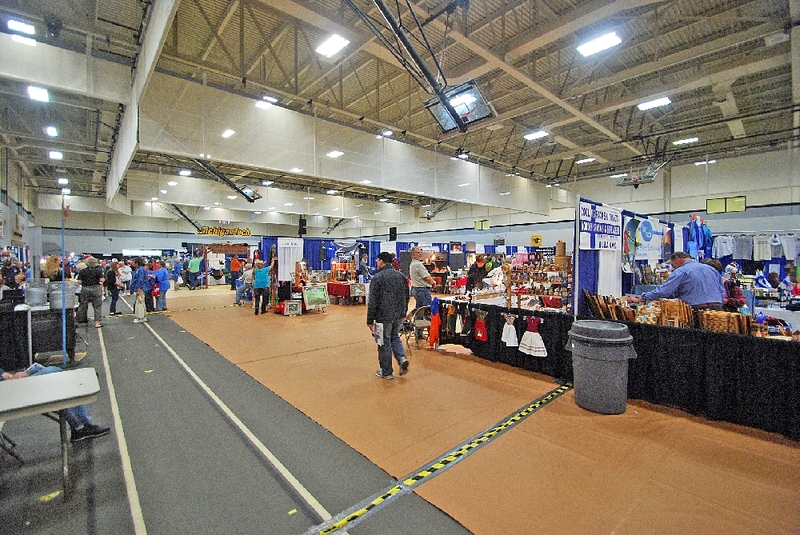 This was the entertainment and concert area, on the east end of the floor. A lounge and snack area can be seen through a door way in the b ack wall left. 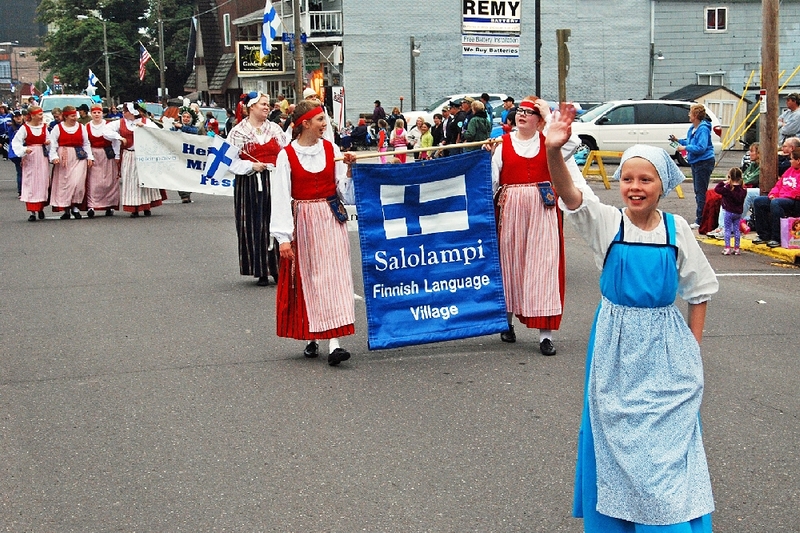 A combined FinnFest 2013 and Bridgefest Celebration Parade was also held, which started in Houghton and ran through Hancock. 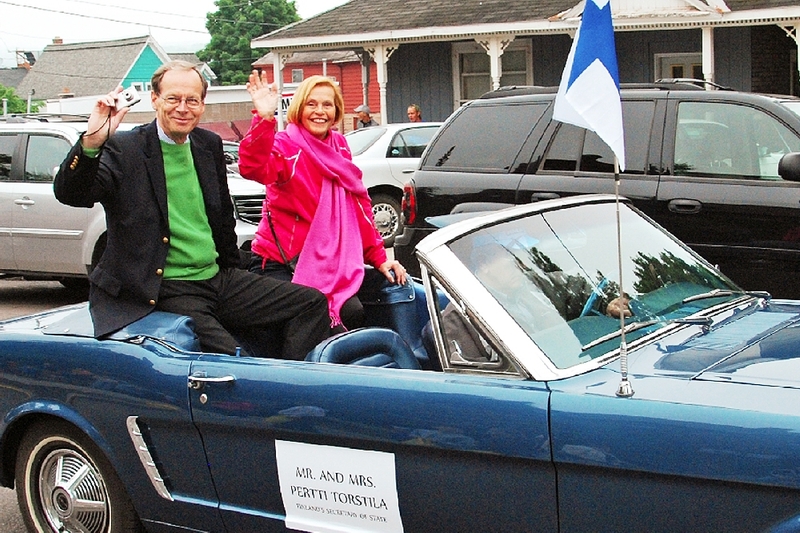 Here, Finland’s Secretary of State Pertti Torstila and wife Teva wave to the crowd. The Salolampi Youngsters. 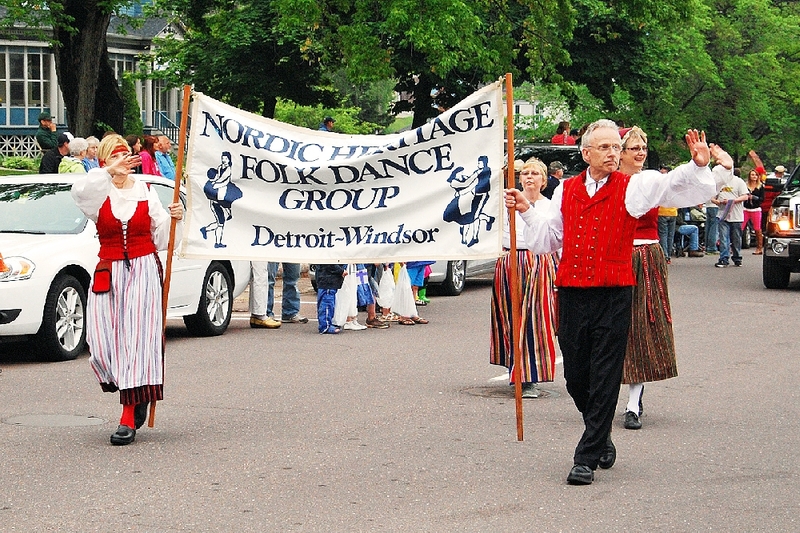 The Nordic Heritage Dance Group, from the Detroit area. A great time was had by all in attendance. A huge round of thanks to all who worked so long and diligently to make all of this happen. Kiitos.